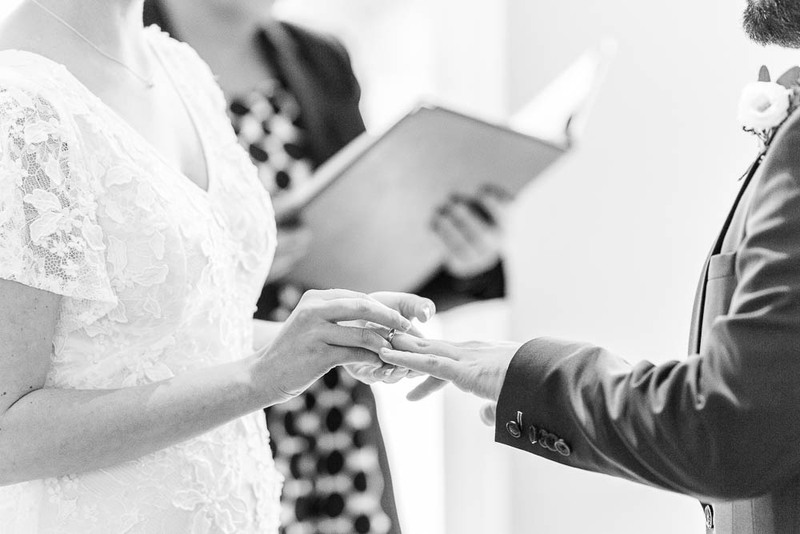 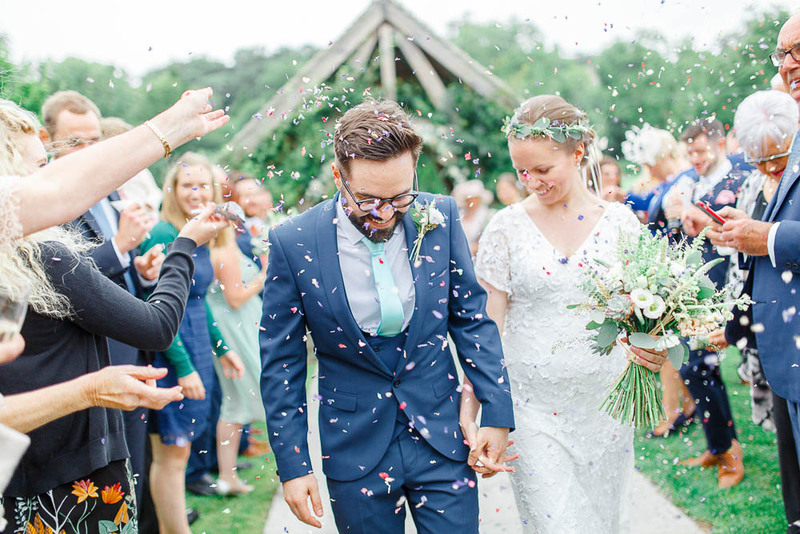 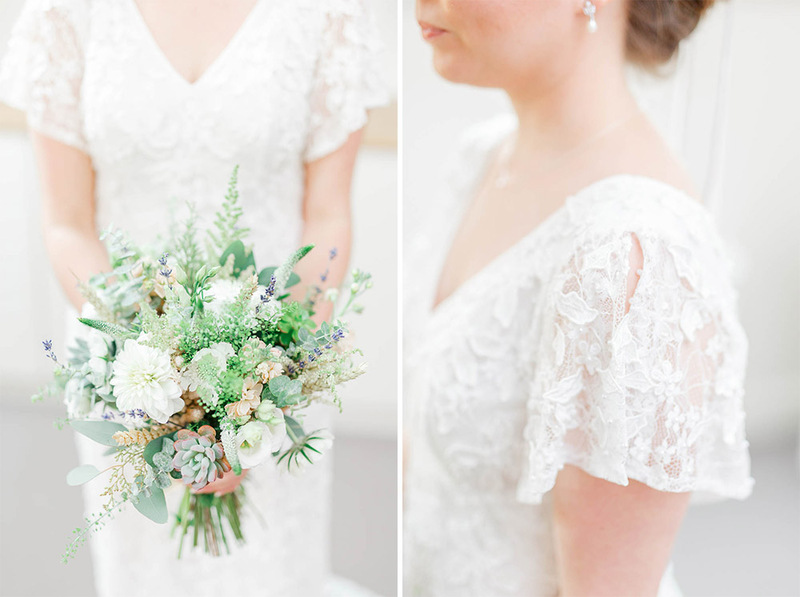 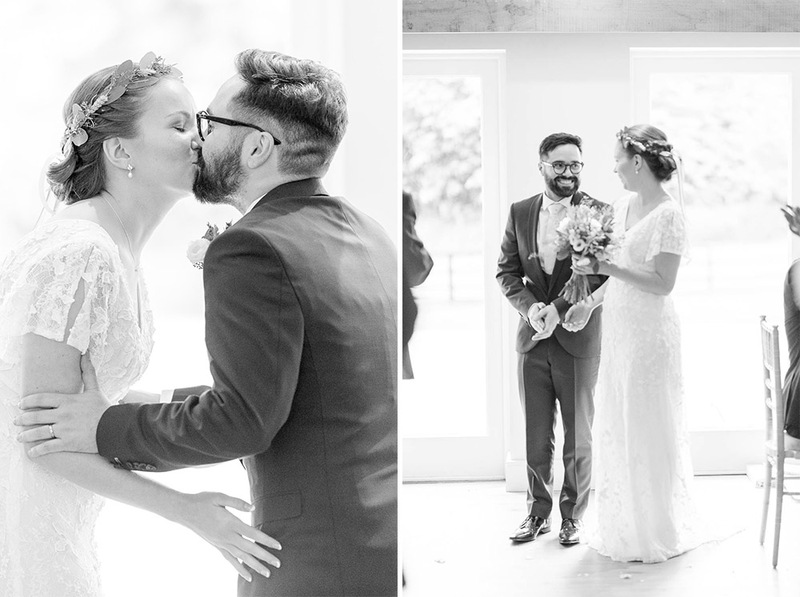 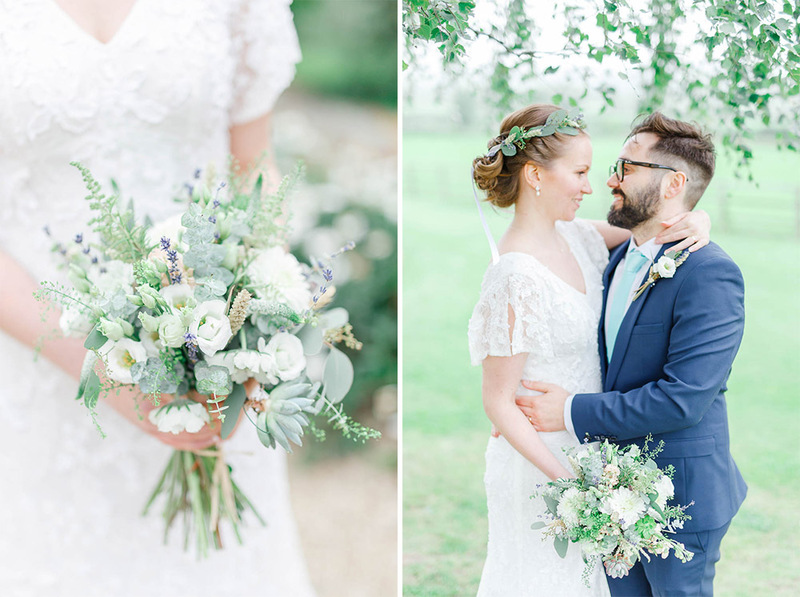 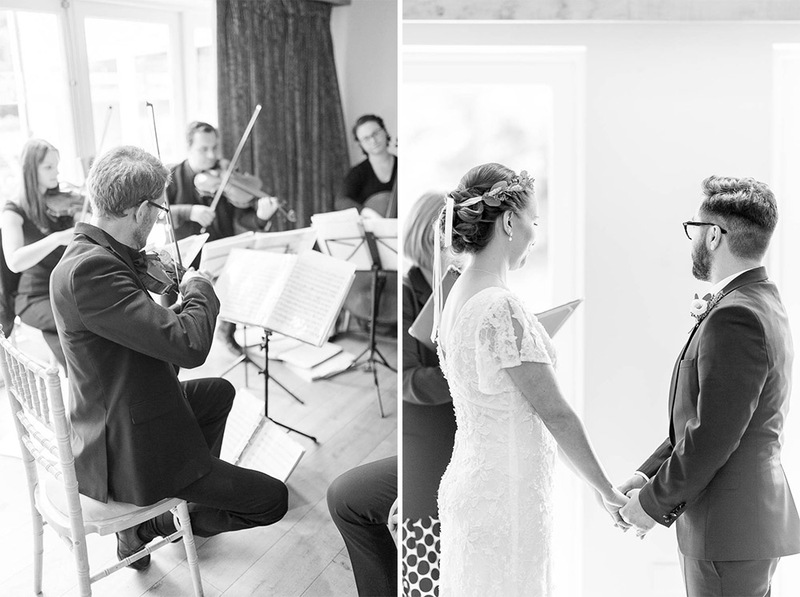 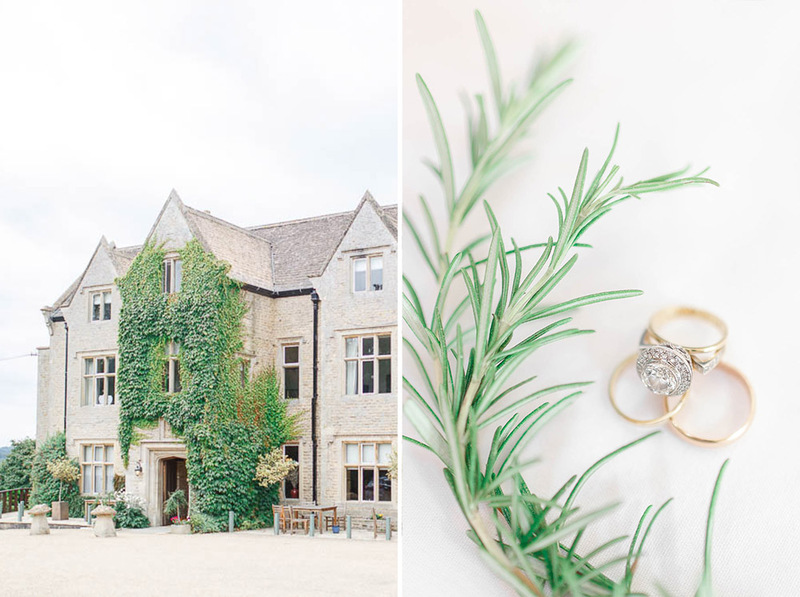 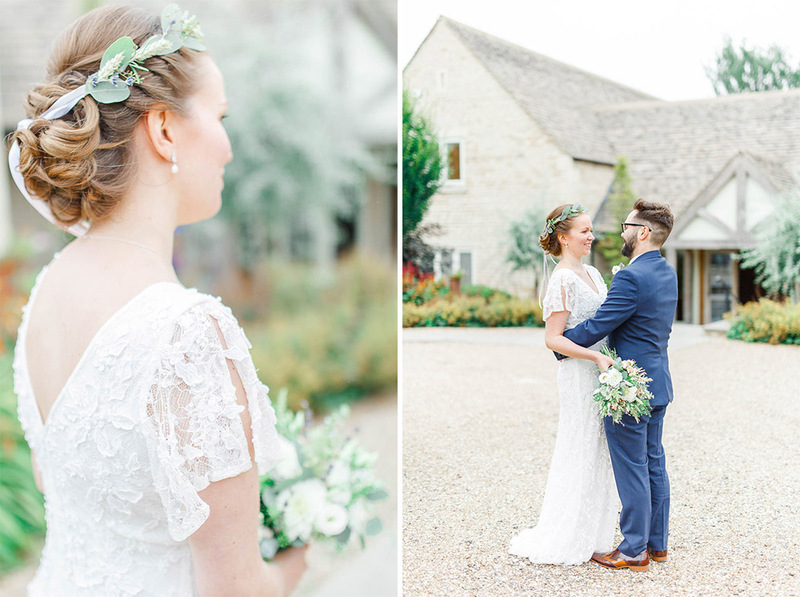 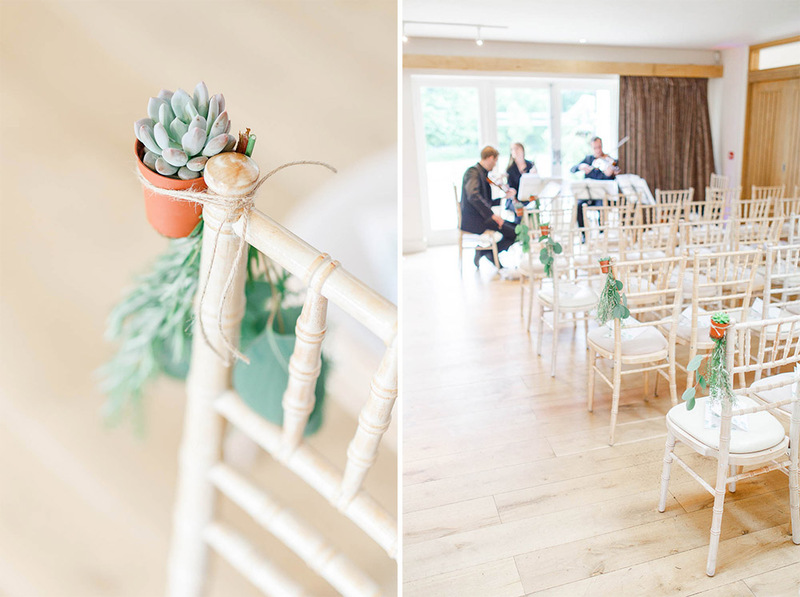 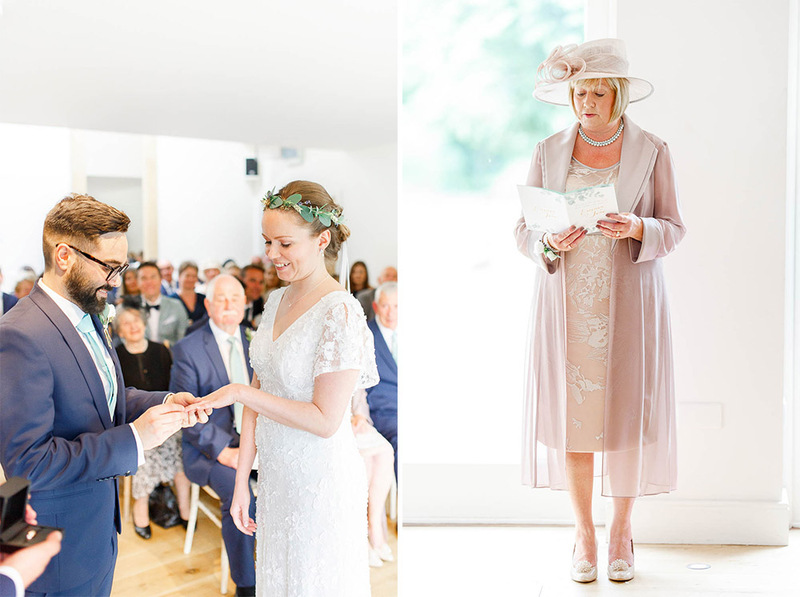 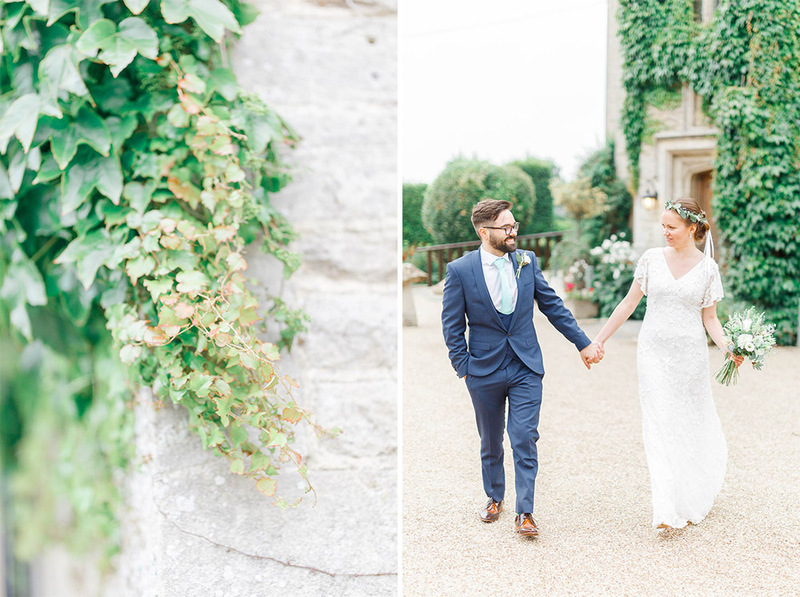 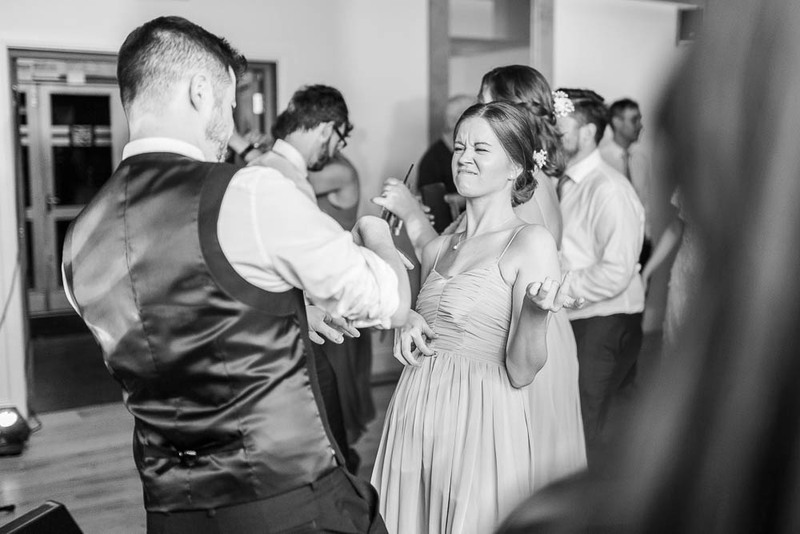 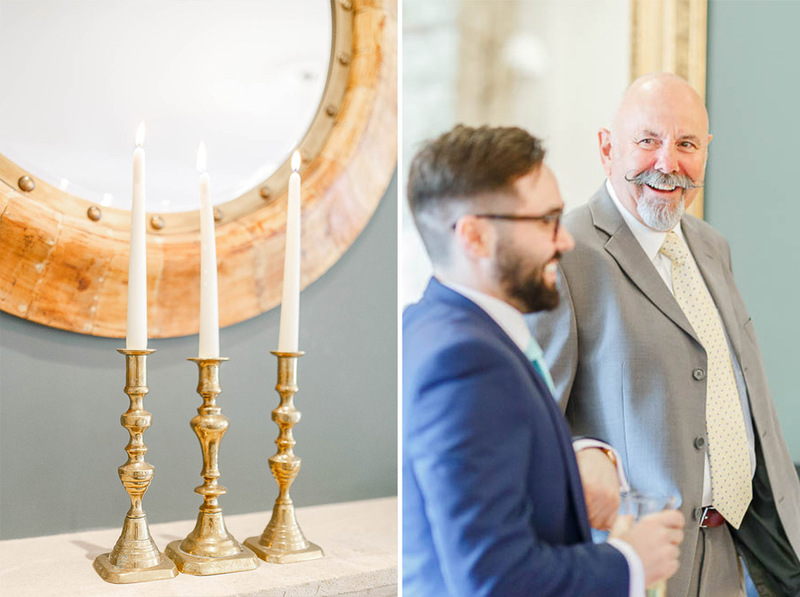 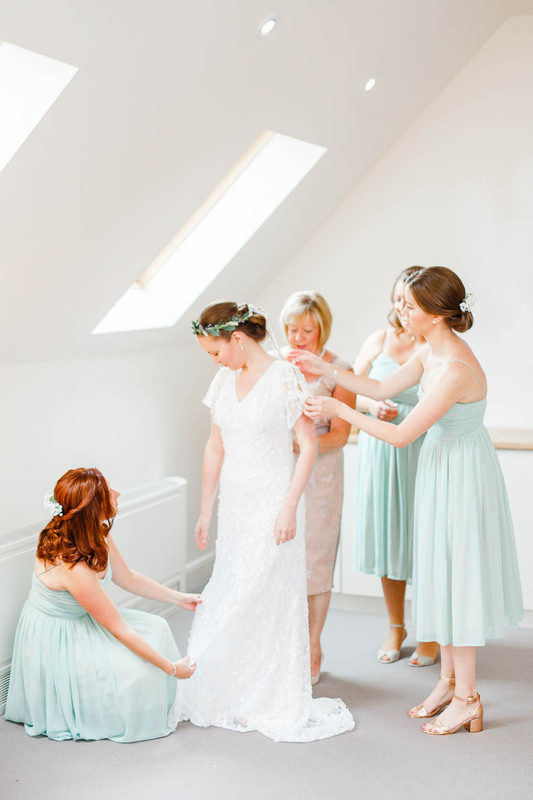 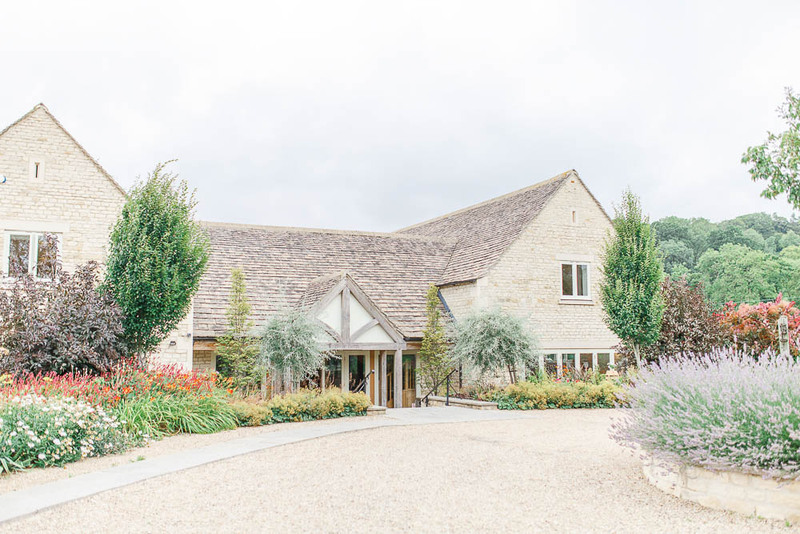 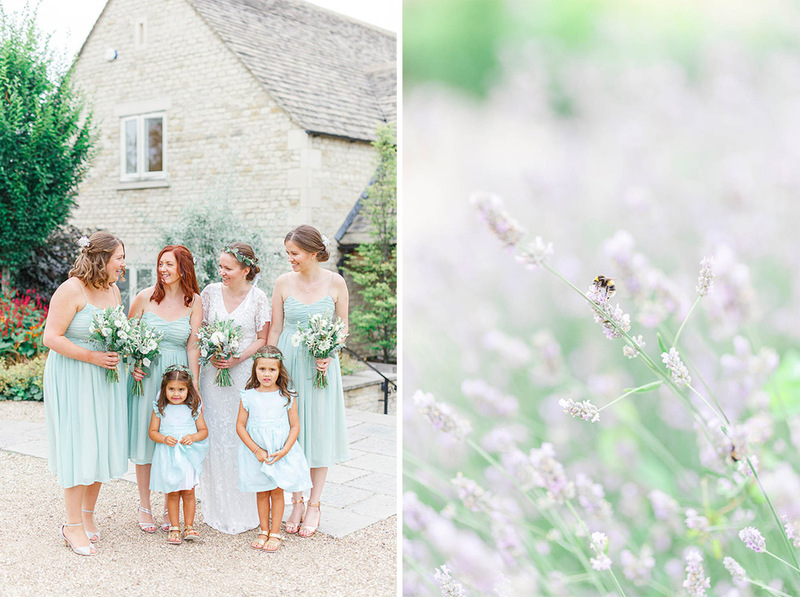 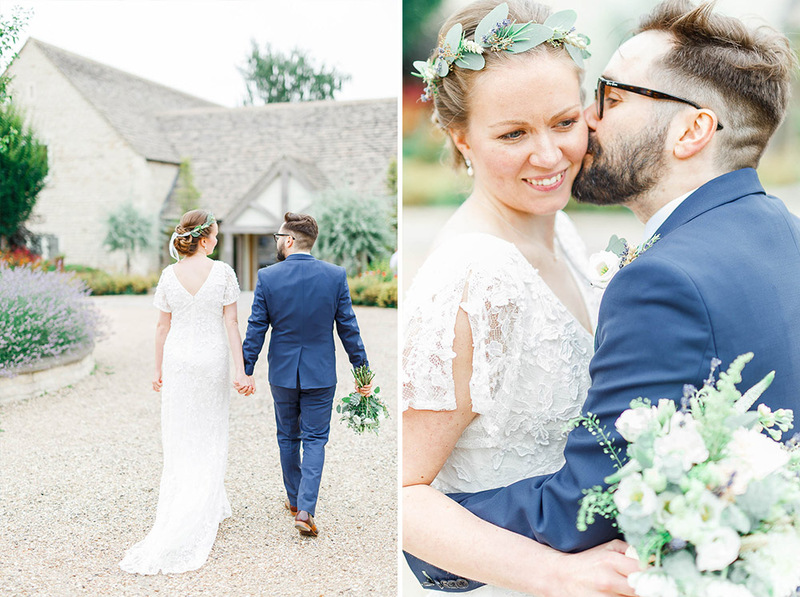 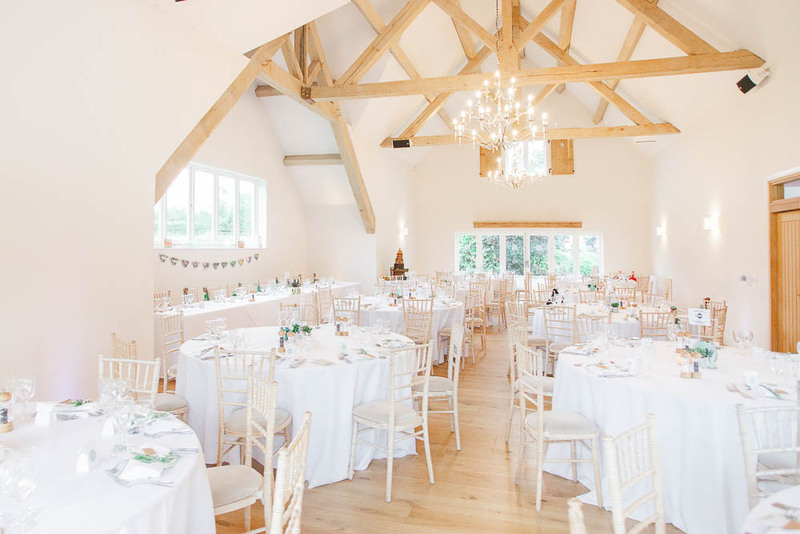 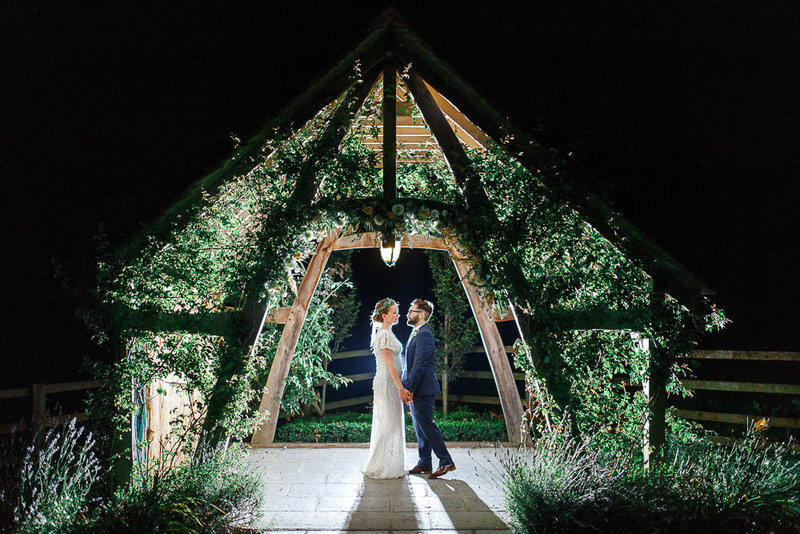 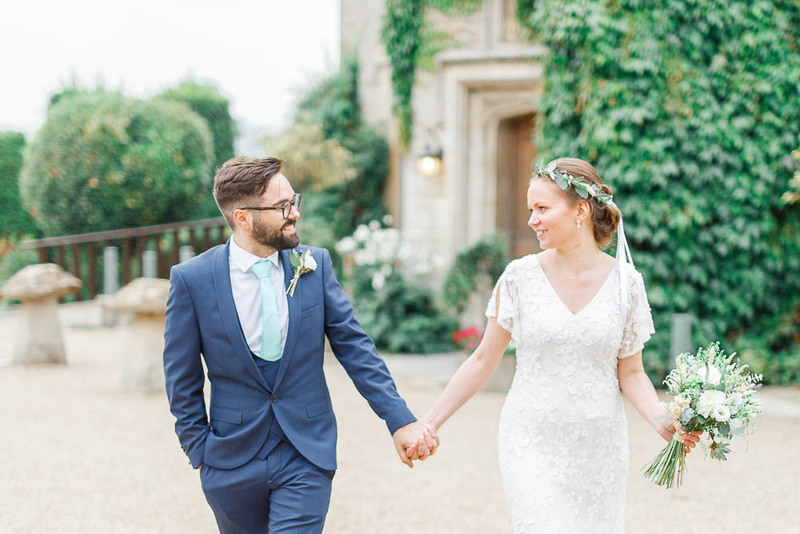 Emma & João’s fabulous boho wedding at Hyde House was simply beautiful. 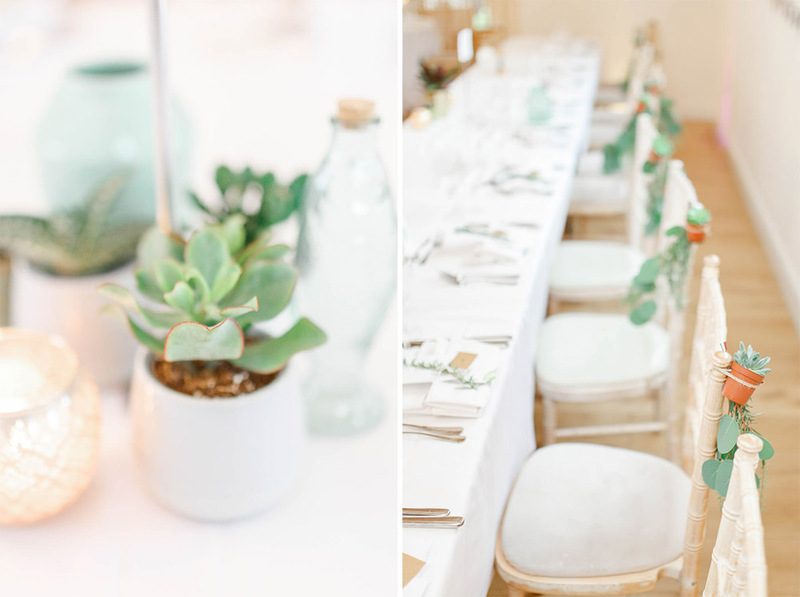 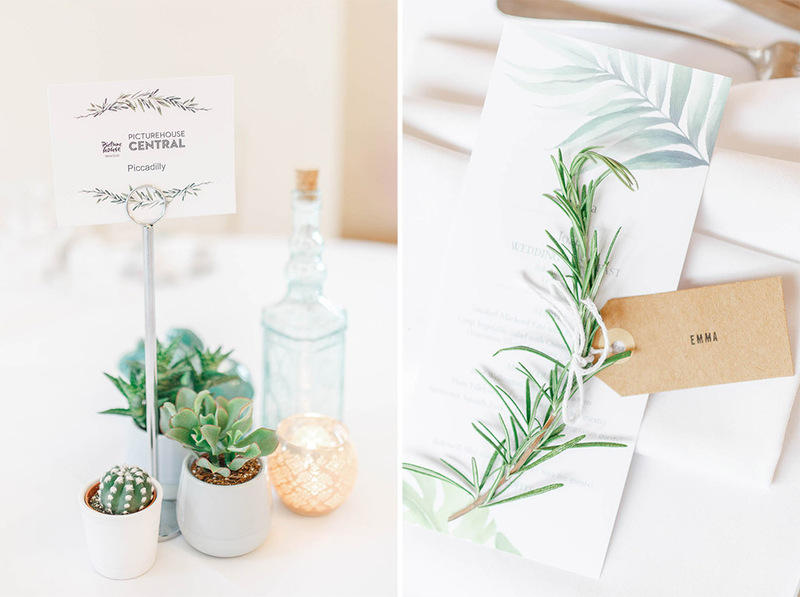 Their botanical theme was a treat for the senses with lavender and herbs on every surface, as well as gorgeous succulents providing texture and a more tropical feel. 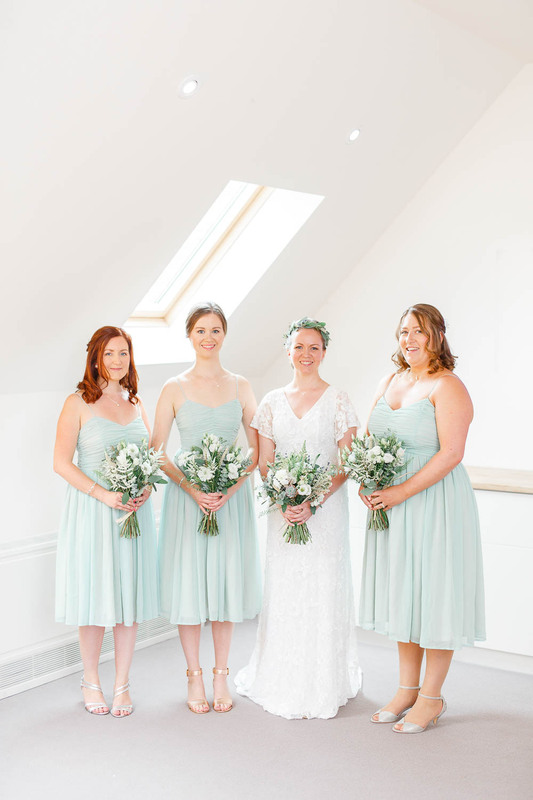 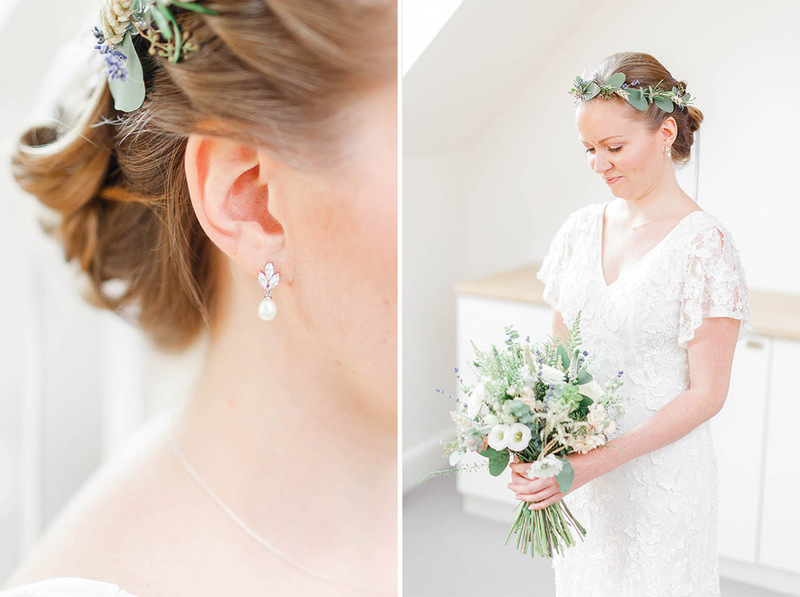 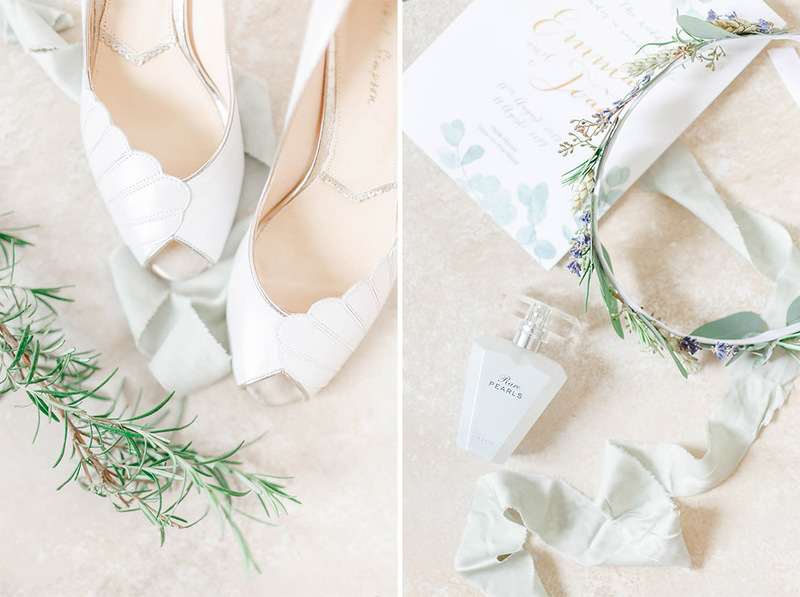 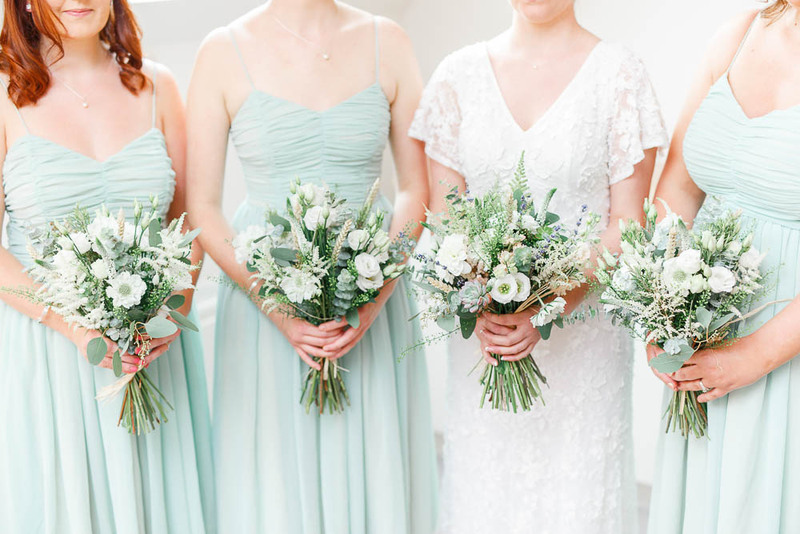 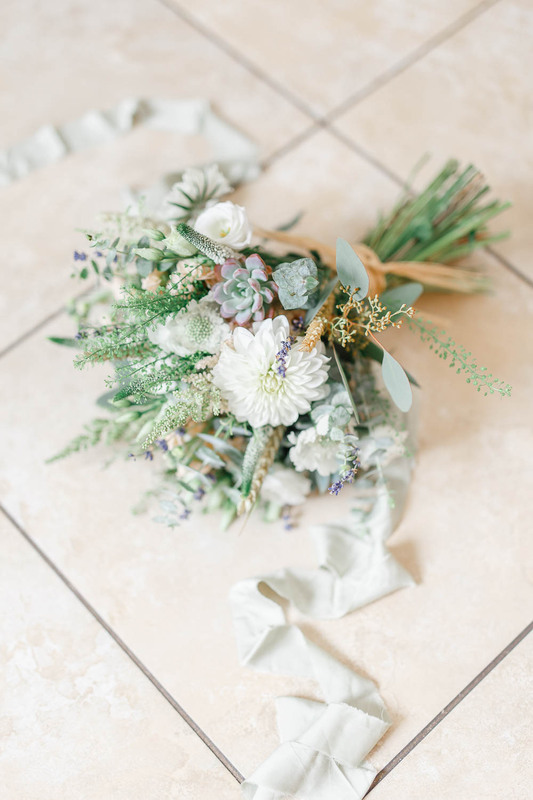 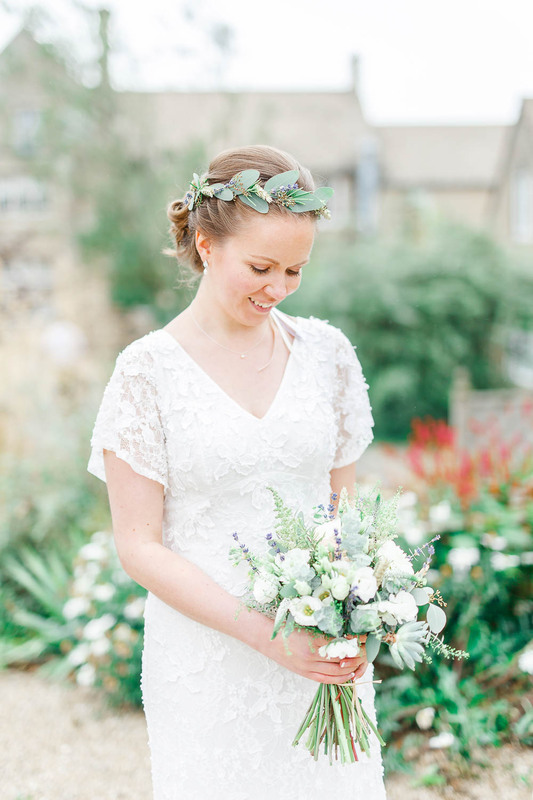 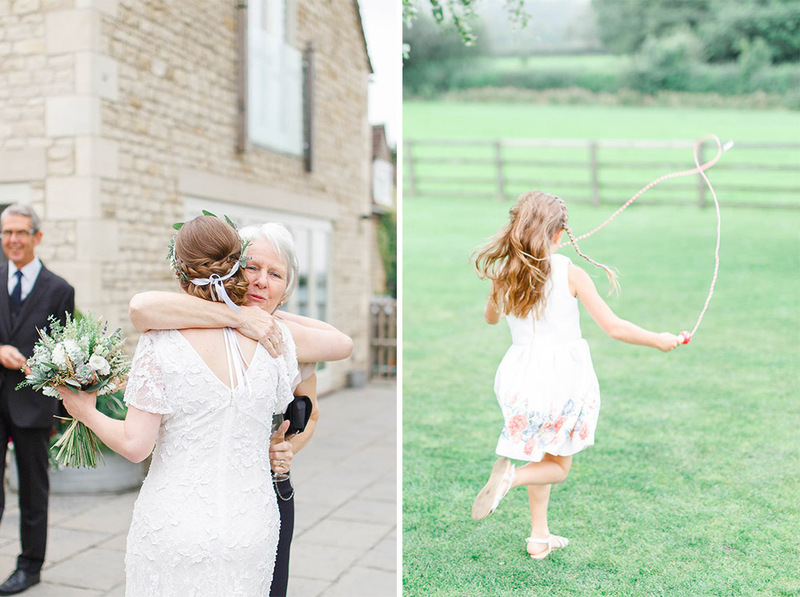 Possibly our favourite floral element was the bridal flower crown, finished with soft neutral ribbons – Laura from Cotswold Blooms really outdid herself! 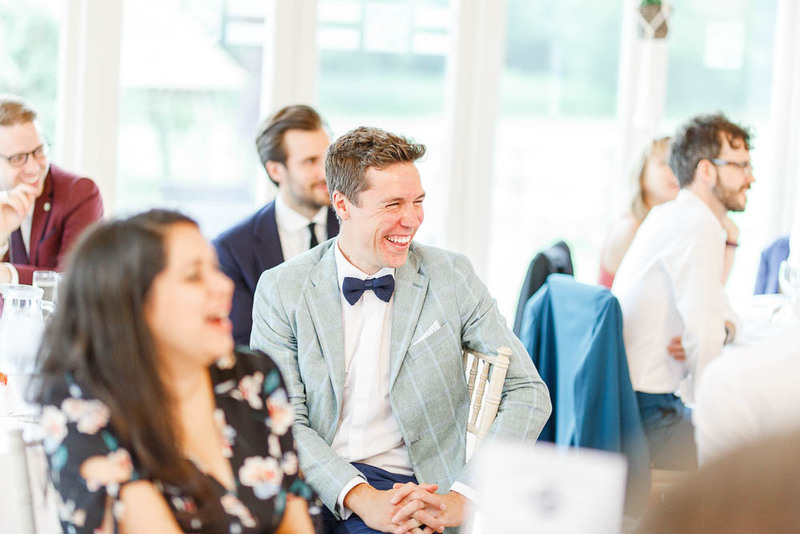 Another important element of the day was the movie theme. 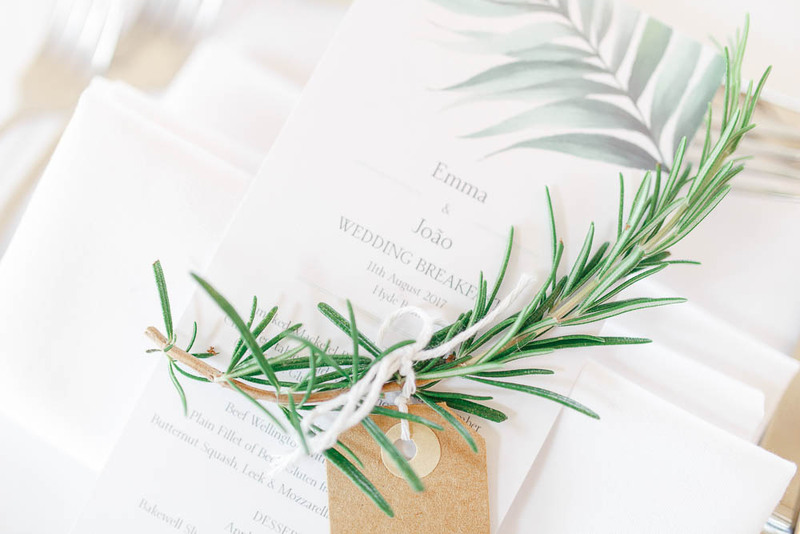 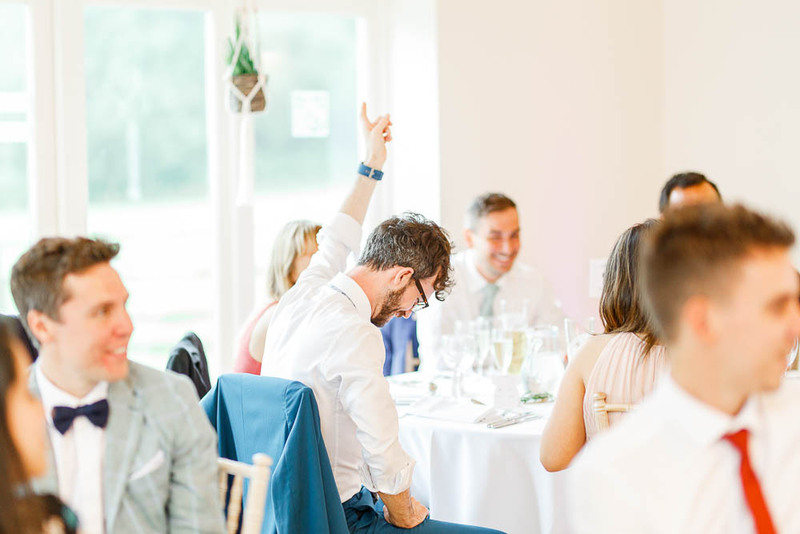 Both Emma & João have an interest in films, so the tables were named after their favourite cinemas, and a string quartet treated us to a wide range of famous film soundtracks through the day! 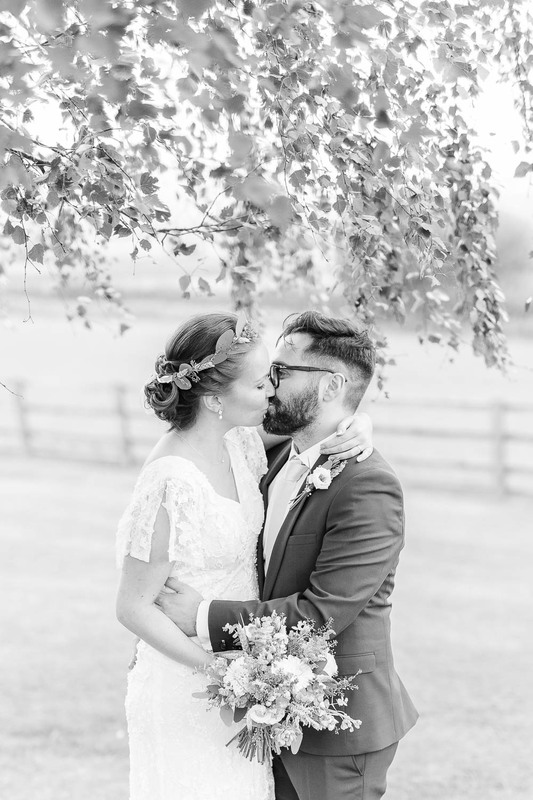 João is originally from Portugal, and the two met through their work as nurses. 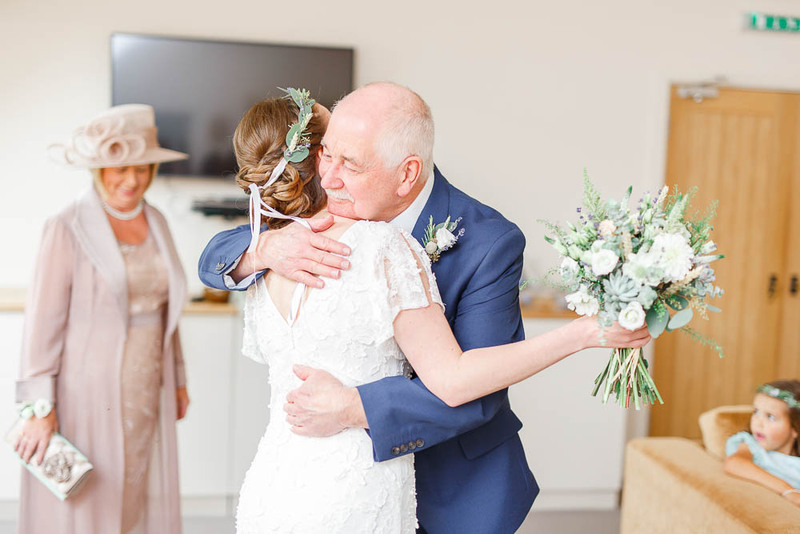 It was so special to see so many family members travelling all the way from Portugal to share their special day! 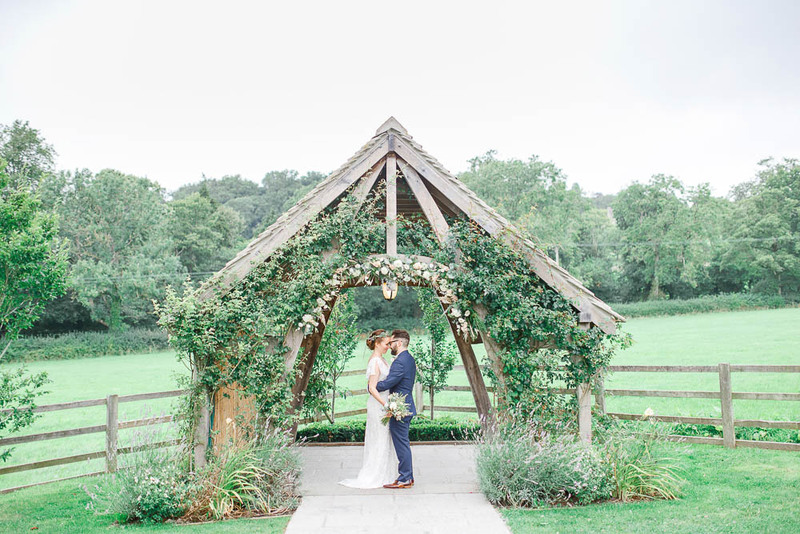 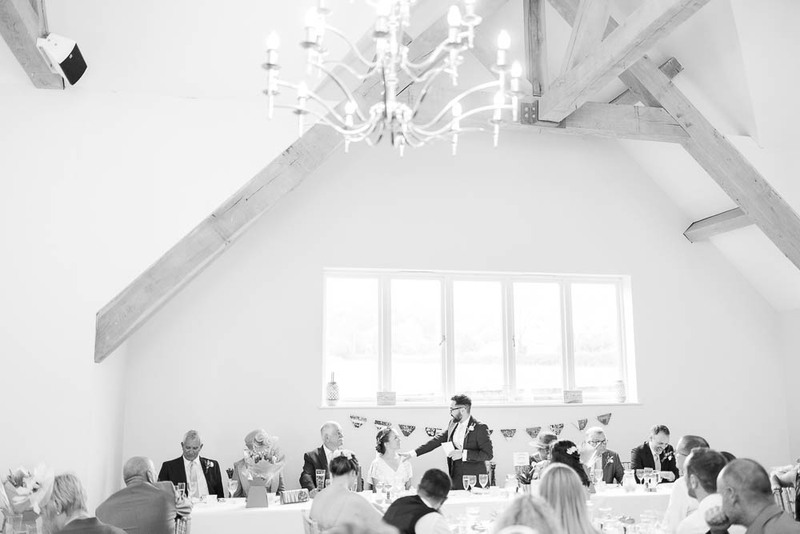 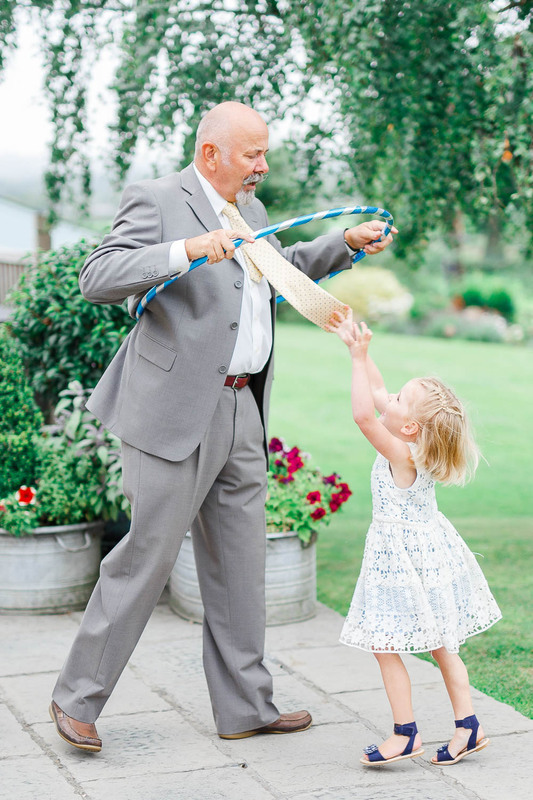 In true English fashion the weather was intermittently rainy, so the ceremony was held indoors in the barn. 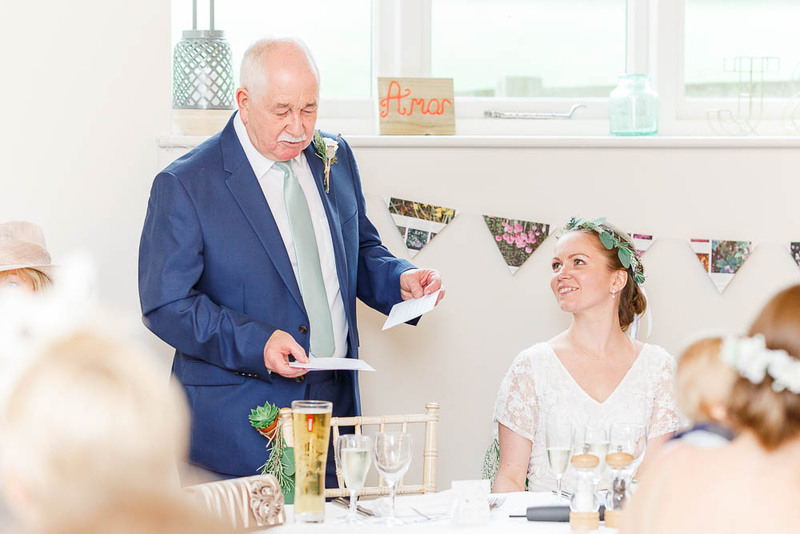 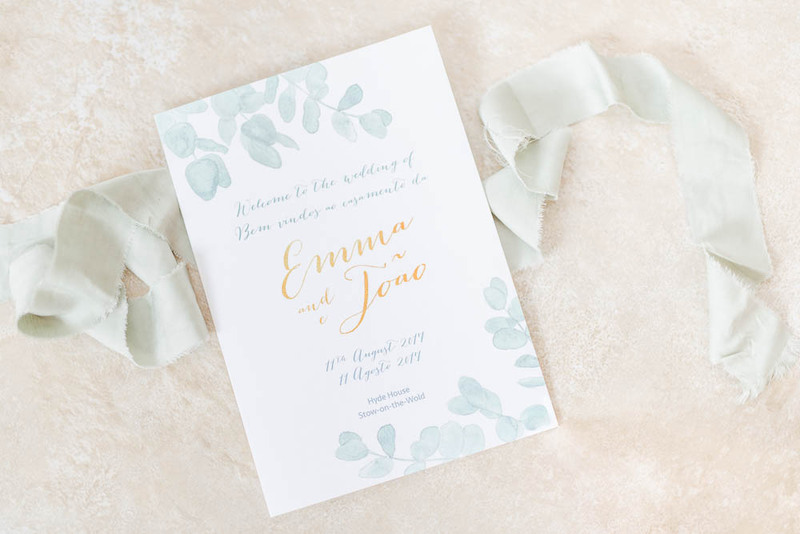 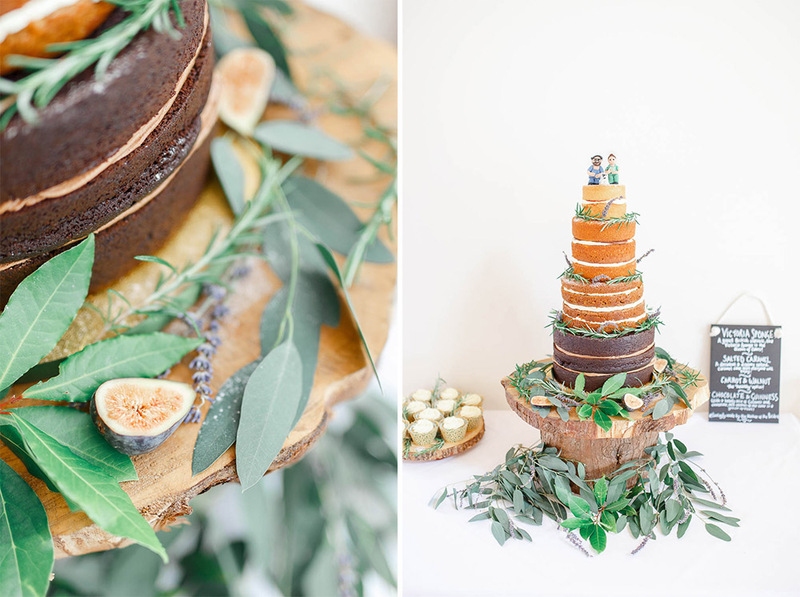 The whole day managed to feel simultaneously elegant and laid back – silk ribbons were used in abundance, and little details (such as the cake made by Emma’s Mum, adorned with greenery and figs) added a sense of luxury. 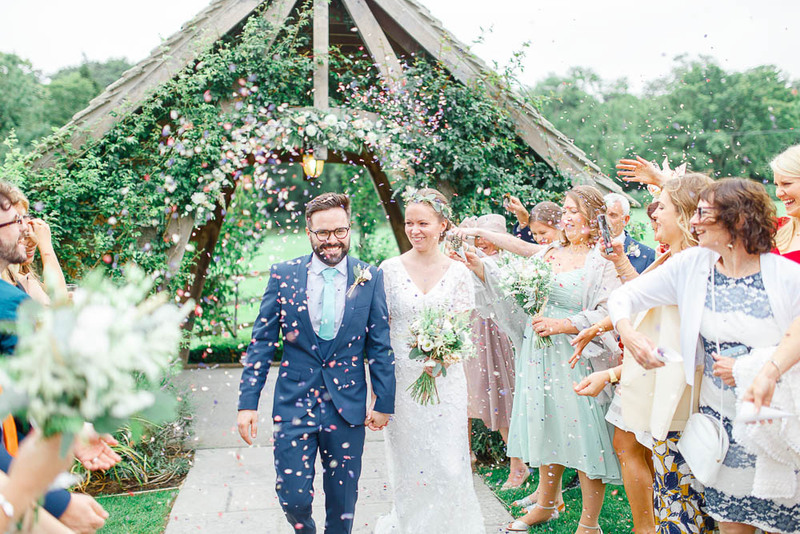 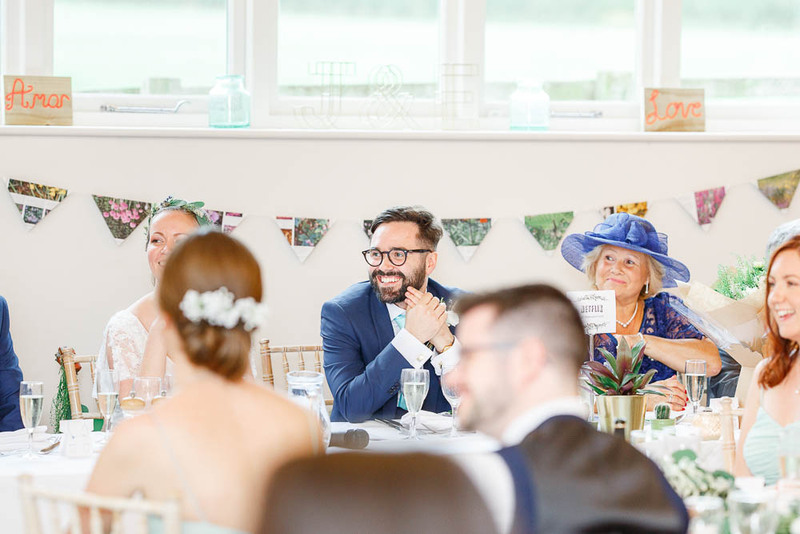 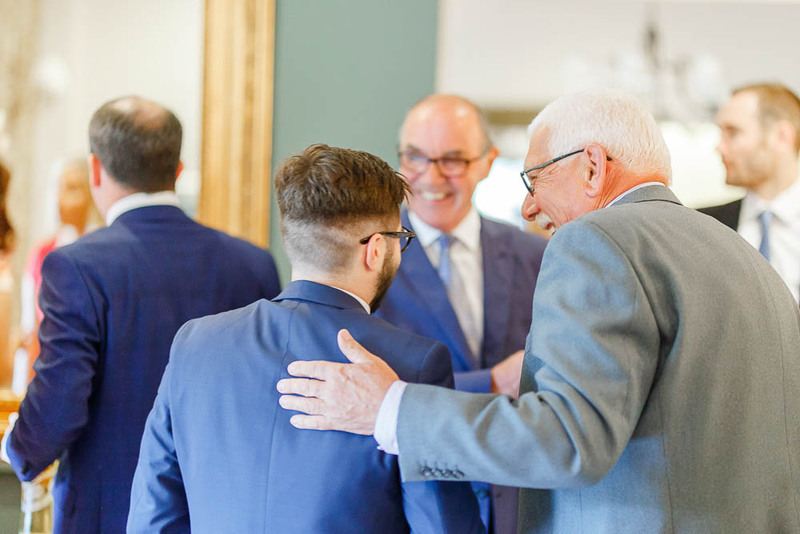 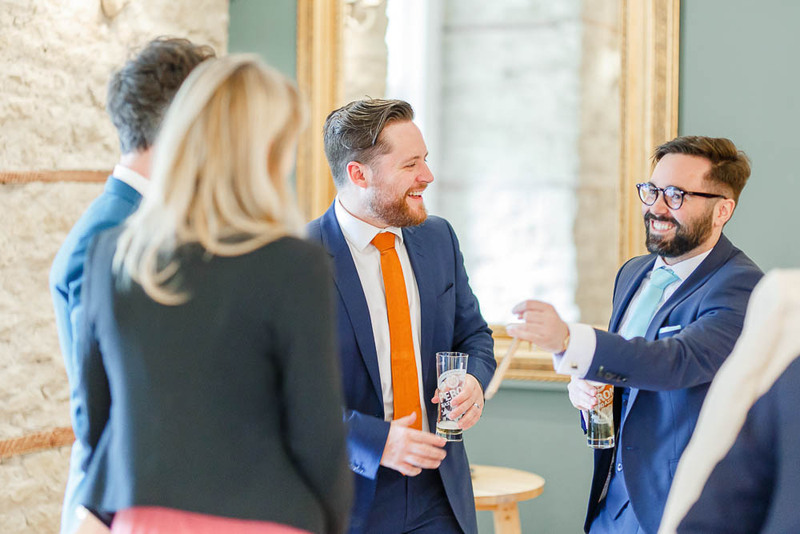 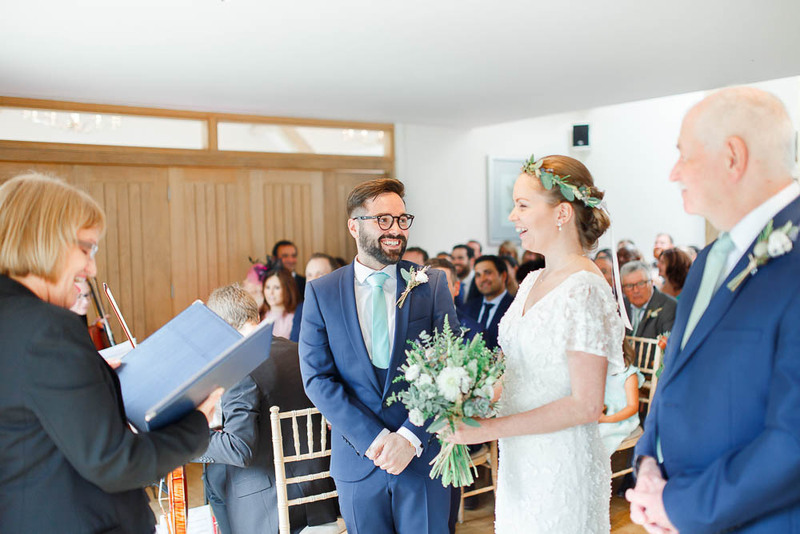 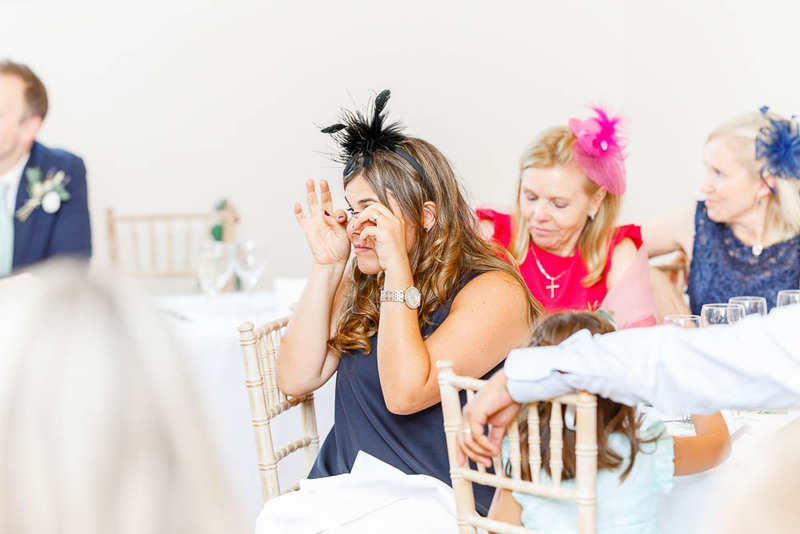 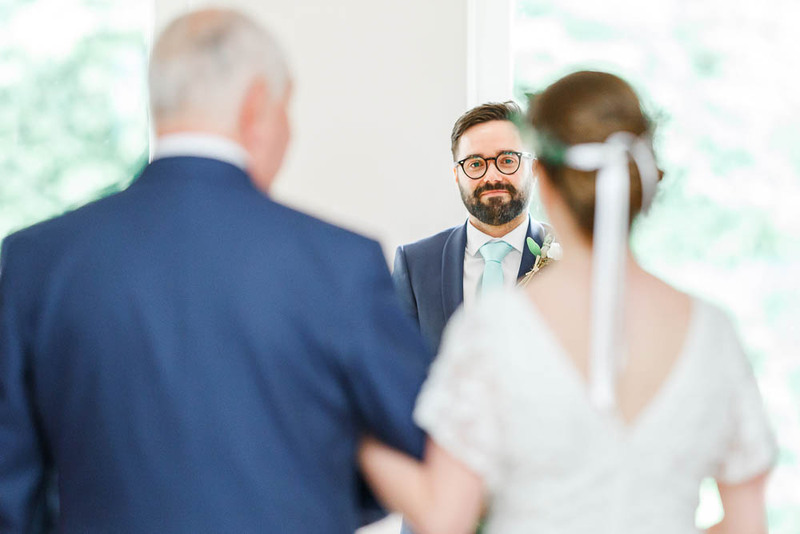 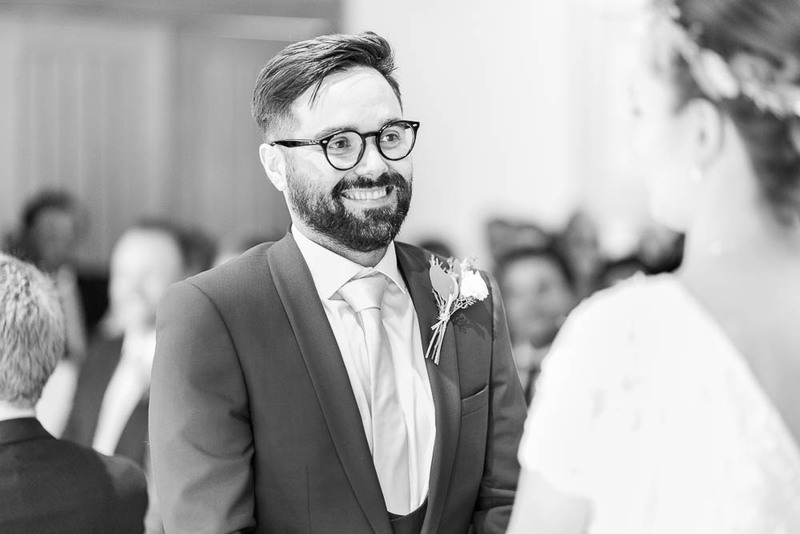 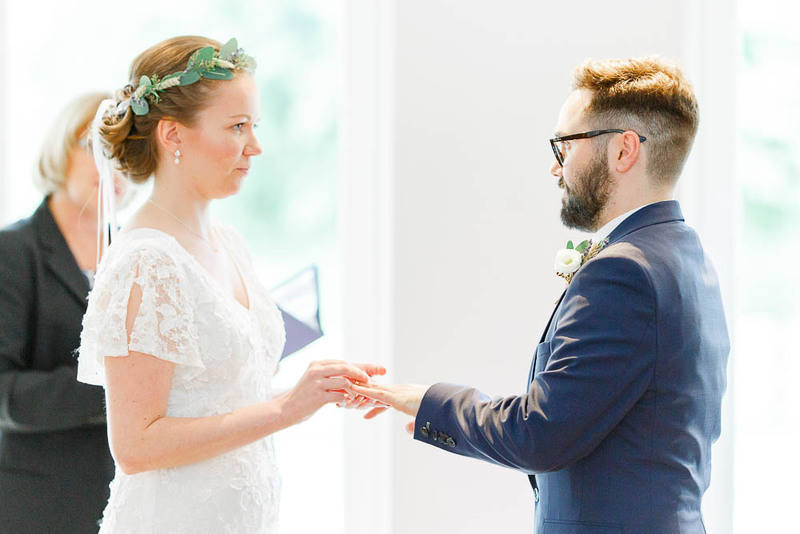 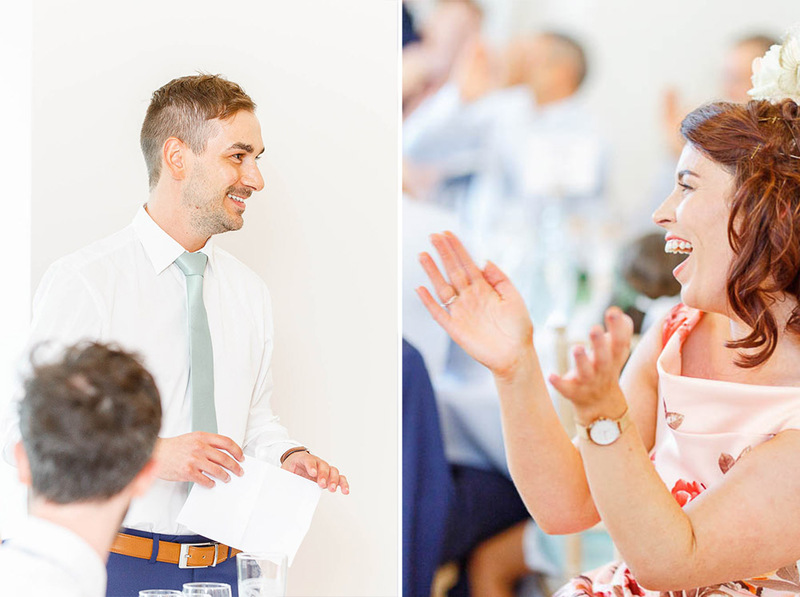 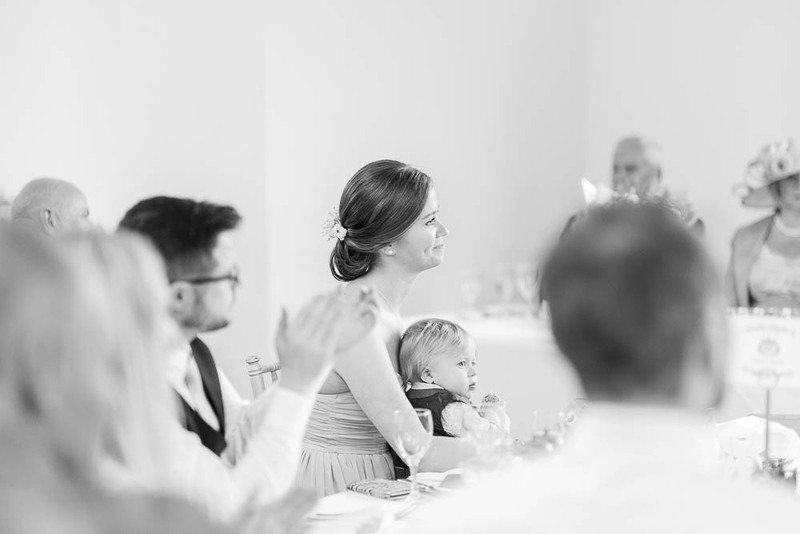 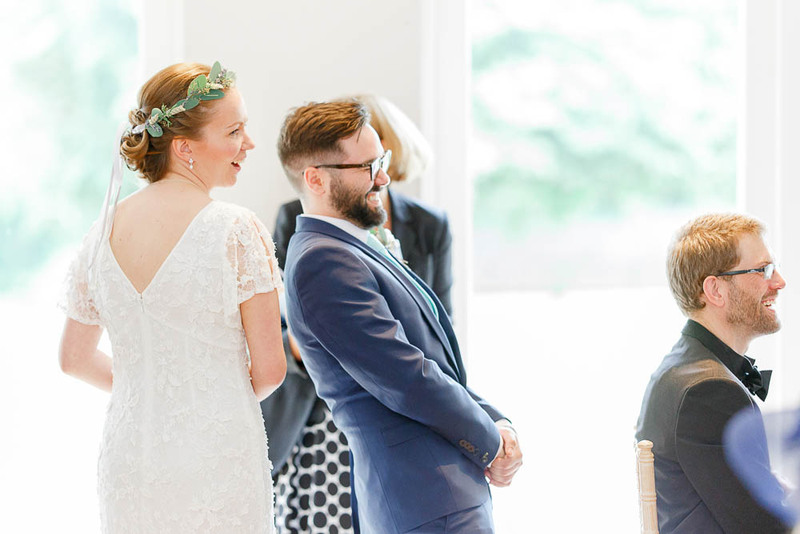 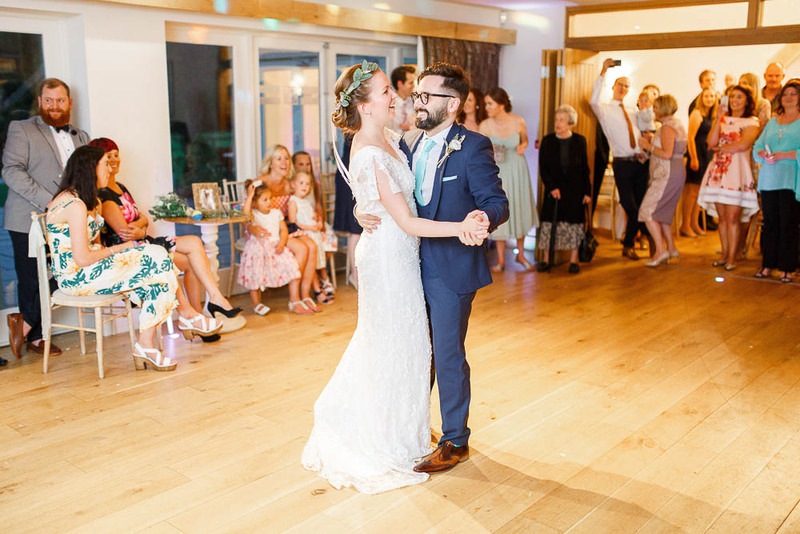 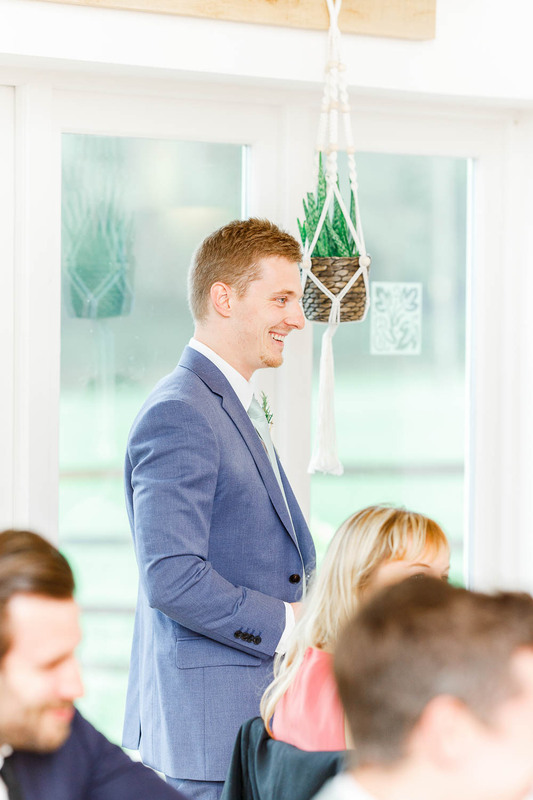 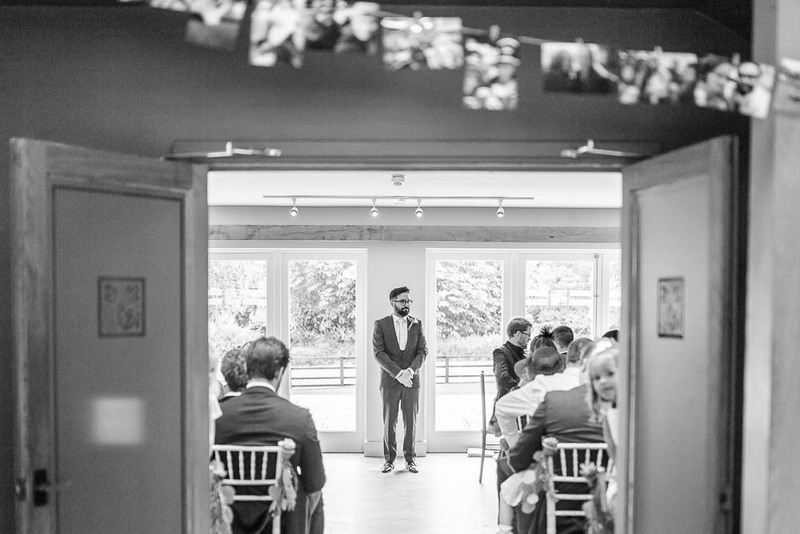 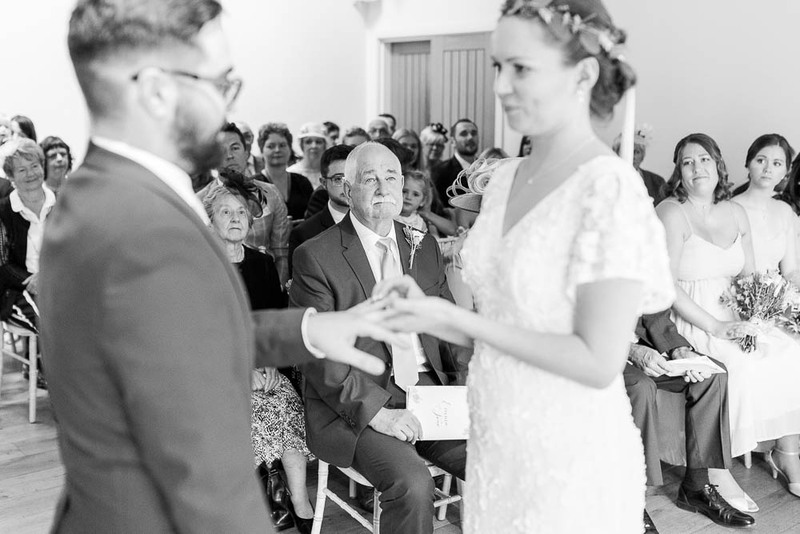 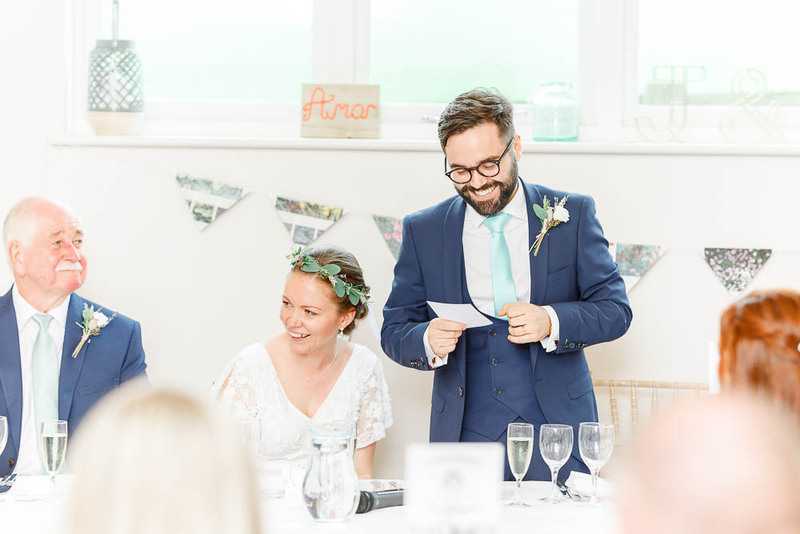 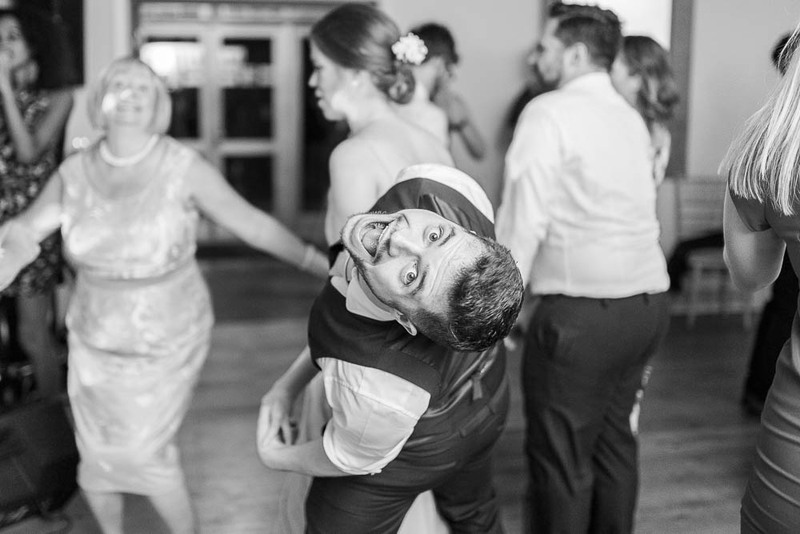 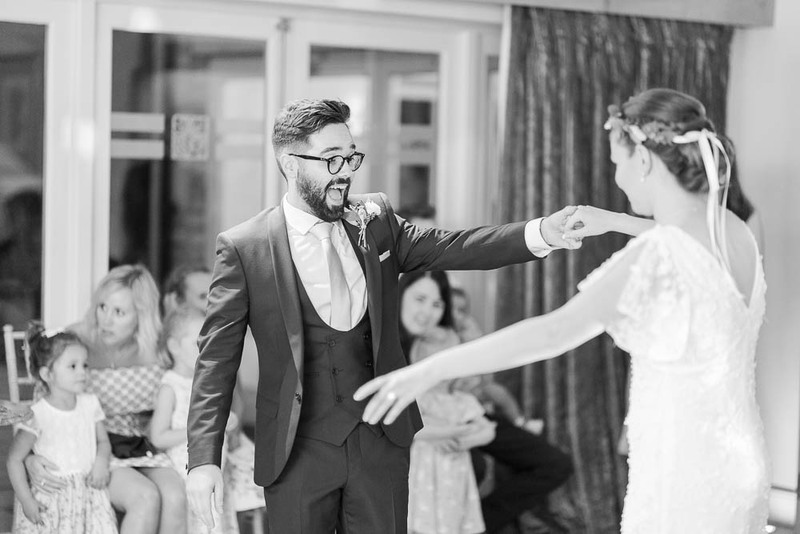 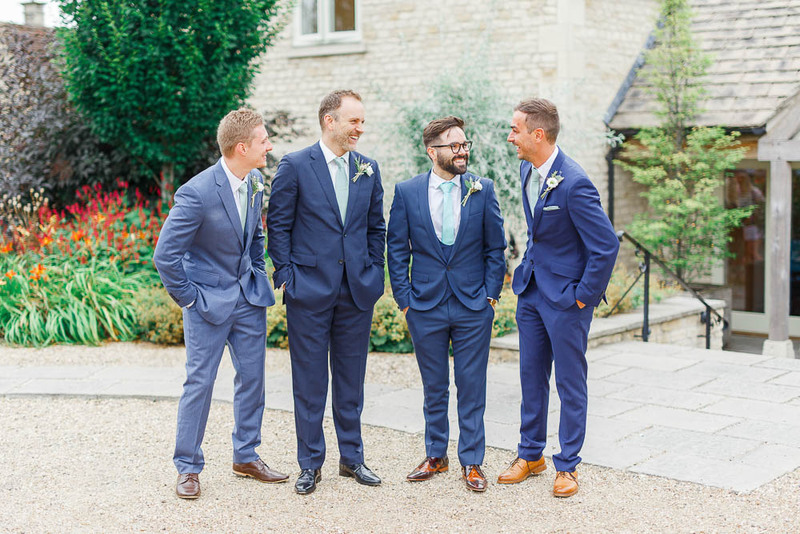 It’s fair to say that the day was also extremely emotional – love João’s face as he sees his bride walking down the aisle!